A fantastic part of the book that ended too quickly was the sidebar on mysticism. 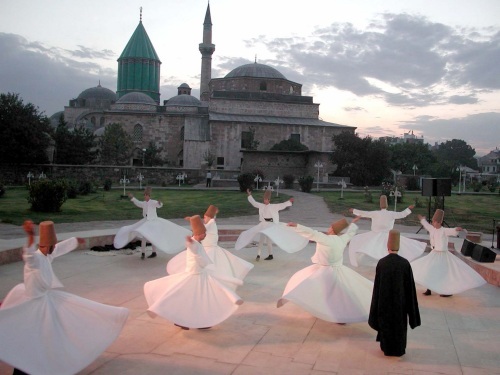 Islamic mystics called Sufis describe their entire spiritual quest in terms of Love! How refreshing that Jesus' primary teaching is kept alive and well in an Islamic sect. They believe that God created the world from Love, an overflow of His own being. Pseudo-christian mystics called Gnostics had an alternative belief system that I like. 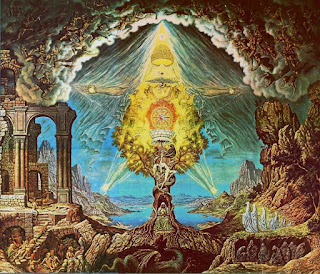 Unlike Catholicism and much of Protestantism for that matter, Gnostics taught that the divine spark was in everyone, and that enlightenment or Henosis (union with God), could be achieved through esoteric rites. It reminds me of the Indian religions where Brahman is in everyone. The only catch was that access to the secret knowledge was by a series of progressive initiations, which smacks a little bit of Scientology. One idea the Gnostics believed in which got them branded as heretics by Rome was that God was an Imperfect Creator, the Demiurge! This Fallen One controlled the fate of the world, being descended from a far removed spiritual plane of higher mysterious beings. I find it amusing that these Gnostics thumbed their noses at the idea of an all-knowing perfect God. The mistake-prone Demiurge better suits the random and chaotic world in which we live. The authors then get to Islam, which in its heyday was ironically much more liberal and open-minded than the Christian church. Its very sad to read about the old Islamic philosophers freely debating the need for reason and rationality in the world. Al Razi, a Persian philosopher, argued that only through reason could truth be revealed, and if reason conflicted with revelation than revelation should be abandoned! Pretty stunning. 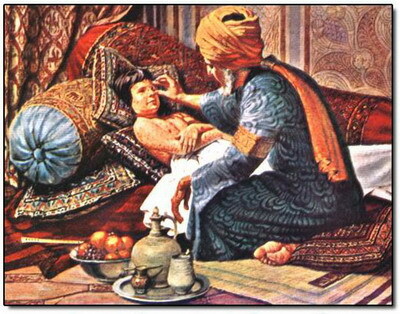 If Al-Razi lived today he would be the target of a hundred fatwas and gone in a week, but in his time he was an esteemed writer. Out of the Jewish tradition a philosopher named Maimonides promulgated the idea of a Common Intellect. "Every gain in human knowledge becomes part of our Common Intellect, and so, even if we ourselves do not survive death, our knowledge lives on in humanity." I love this beautiful idea of immortality. 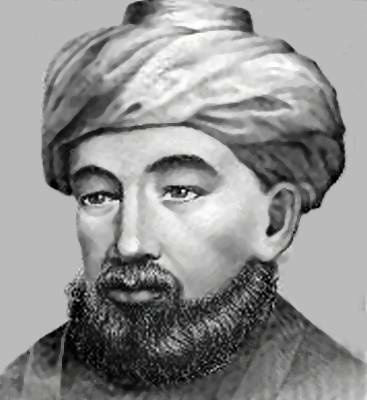 Even though I reject the idea of a fluffy white heaven where angels sing "Hallelujuh" until your eternal ears bleed, I do believe in Maimonides idea. That you live on in the memories of others; that the knowledge you passed on to children, family, and friends survives. And for the rare individual, the contributions they leave to society. We pass through the world, leaving ripples in our wake that can travel great distances, long after we are gone.